The Android 4.4.1 update is going to be released in a few days. The main purpose? To fix Nexus 5 camera as it has been experiencing some inconsistency ever since its launch a few weeks back. Google’s Director of Engineering for Android comments that Android 4.4.1 carries some slight tweaks in the camera. Autofocus, exposure, white balance, and motion blur. Android 4.4.1 is also speedier overall. After the upcoming update, you will find your Nexus 5 camera much more faster than before. From launching to taking the shots, it is a lot more quicker. Much credit goes to team Android for working hard and getting results in just a few weeks’ time. 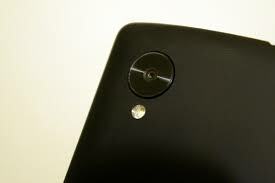 The upcoming Android 4.4.1 update stop making Nexus 5 camera as a dealbreaker. Not the best one like iPhone 5s or SGS4, Nexus 5 will still be in the lead and will take much more crisp photos after this update. Not only Android 4.4.1 update fixes Nexus camera but also adds some little new features. A new progress indicator in HDR+ mode is one change in the UI. The best though is the efficiency. You can now use the Nexus 5 as a reliable camera phone not a hit-and-miss gig. The wait for the upcoming Android 4.4.1 update is intense than ever especially for Nexus 5 users. Let’s hope we get to update our smartphones sooner to this very latest update making the camera much more consistent, less blurry and more crisp!